Since your diagnosis with COPD you have probably begun looking into a portable oxygen concentrator so you can have the ability to leave your house and travel. With all the options out there it may start to feel overwhelming or you just aren't quiet sure what the proper oxygen concentrator for you is. When shopping for a portable oxygen concentrator make sure it operates at an oxygen level that matches or exceeds your prescribed amount. 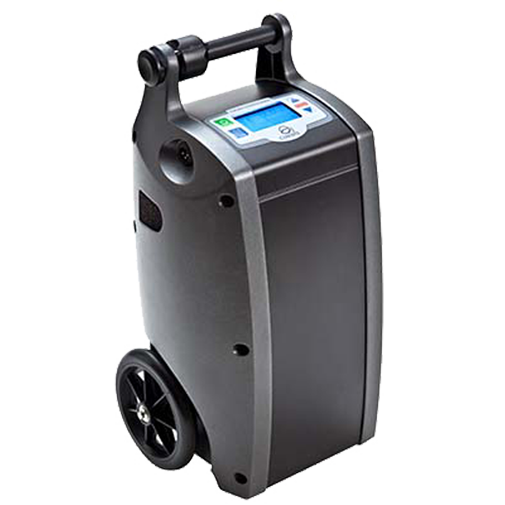 Ever since O2-Concepts released the Oxlife Independence portable oxygen concentrator it has become one of the most popular continuous flow portable oxygen machines on the market. The versatile concentrator is FAA approved and offers both continuous and pulse flow modes. In the past, the Oxlife Independence came with a 3 year limited warranty. O2-Concepts has announced, effective immediately, all brand new Oxlife Independence portable oxygen concentrators will come with a 5 year warranty! This warranty extension is for new purchases only. O2-Concepts is not extending the warranty on concentrators purchased prior to their announcement.